Having your portrait and wedding photographs framed and presented to the highest quality is the final stage of your professional photography investment. It would be a shame to have such priceless images and memorable art simply framed in cheap clip frames, or low quality products. 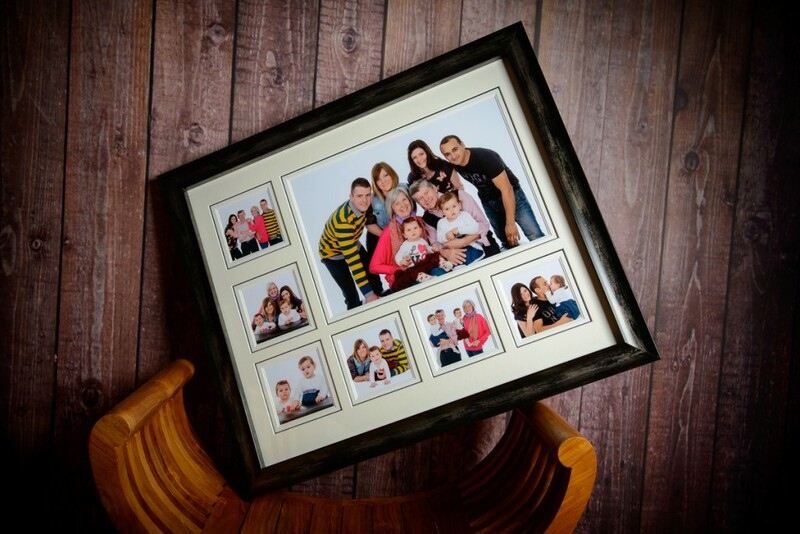 Xpressions Studio offers a huge range of portrait frame presentations from medium desk top frames to ultra modern wall frames, perfect for your family home and office. 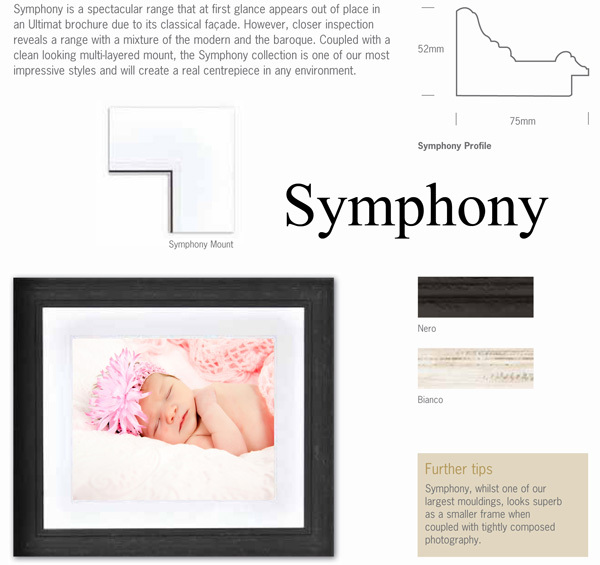 Using the UK’s leading frame manufacturer these portrait frames are the ultimate in presentation for your images, and with a wide range of contemporary designs which utilize many different materials and finishes Xpressions Studio are bound to have the perfect one for your wedding, portrait or commercial photographs. Xpressions Studio framing products have three aspects in common: various modern frame styles, a high quality finish, and professional value. Xpressions Studio prides themselves on offering the best in quality and don’t simply frame your prints as they are. Over time, photographic paper can distort within a frame causing a rippling effect. This is due to the atmospheric conditions and the fact that paper expands and contracts with changes in these conditions. In order to prevent this from happening, every ultimate wall framed portrait is permanently bonded to fast-mount. 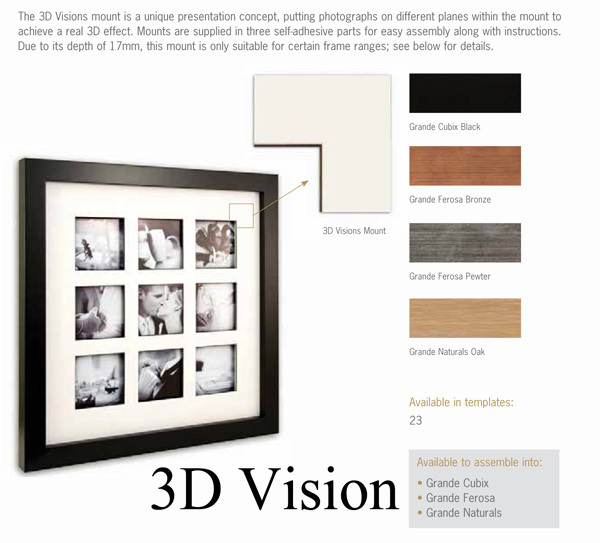 This adds even more value to your framed portrait and longevity to the print. The Argento collections are some of our most popular, with an excellent selection of five metallic finishes to suit a wide range of photography. 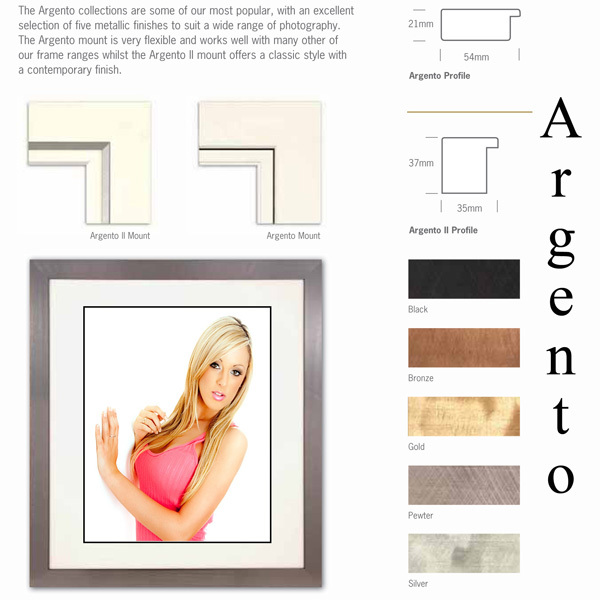 The Argento mount is very flexible and works well with many other of our frame ranges whilst the Argento II mount offers a classic style with a contemporary finish. 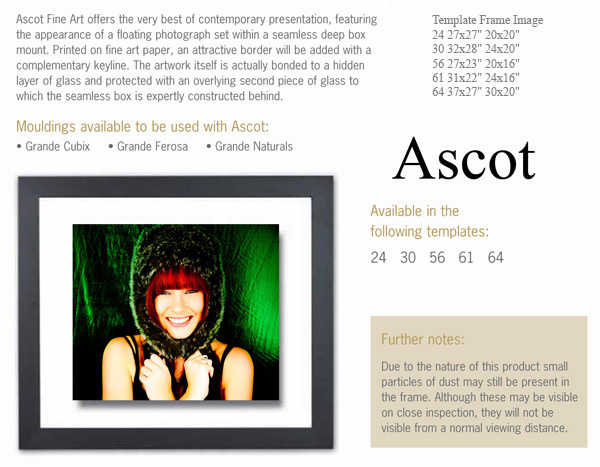 Ascot Fine Art offers the very best of contemporary presentation, featuring the appearance of a floating photograph set within a seamless deep box mount. 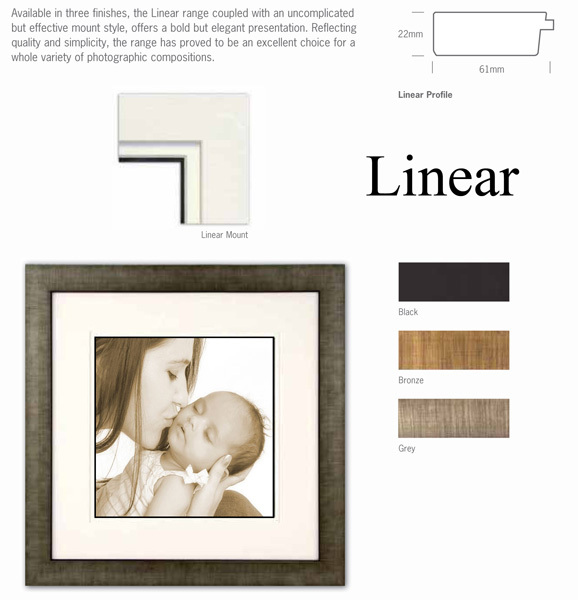 Printed on fine art paper, an attractive border will be added with a complementary key line. The artwork itself is actually bonded to a hidden layer of glass and protected with an overlying second piece of glass to which the seamless box is expertly constructed behind. The Cubix is one of the best selling frame ranges, these block moulding’s offer an uncluttered and contemporary finish. The accompanying mount features a matching inset colour within its three dimensional design, whilst the Grande Cubix mount offers one of the most elegant features of a hand-wrapped deep fillet with a colour inset. Jazz is opulent but simple. These high gloss mouldings are tactile, smooth and accompanied by a clean uncluttered mount style for a unique presentation. The mount features an ultra thin black core board to give the finest of black lines to surround and complement the artwork. 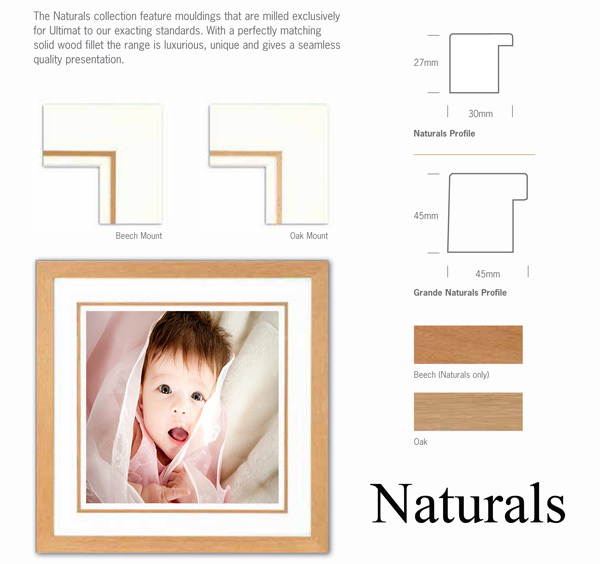 The Naturals wood moulding available in two finishes. Each finish adjoins two metallic colours for a unique combination and coupled with a simple multi-layered mount, the overall presentation is clean and highly suitable for a variety of photography. More fantastic frame choices can be found by visiting the studio.